MOVO enables you to “Instantly send and spend money right from your phone, even if you don’t have a bank account”. The CEO and co-founder, Eric Solis will be discussing the MOVO project with us in this interview. 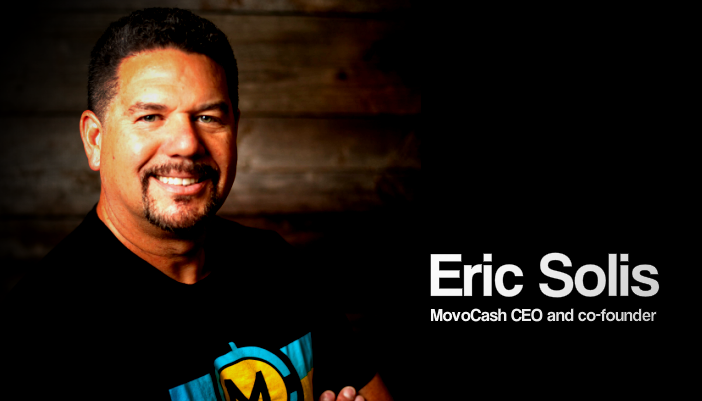 My name is Eric Solis, founder and CEO of MovoCash, Inc.. I am a full stack entrepreneur, which means that I take out the trash, move desks and chairs, dust, I am good with a vacuum and know how to mop floors. I can do most of the other tasks required of a CEO as well. 2) What is MovoCash, Inc.? MovoCash, Inc. is a digital payments company that specializes in interoperability banking. This means that we build technology that is functional across multiple payment systems and protocols such as mobile, distributed ledger and blockchain technologies. 3) What are the major features of the MOVO e-wallet app that make it unique from others? One example includes MovoChain™, which allows users to send money P2P using bitcoin as the store of value that is converted to cash, on the fly and spun into a debit card that can be spent anywhere credit cards are accepted worldwide. We also connect legacy systems together in unique ways enabling friends to send friends Real-Time Payment Cards right from their MOVO app. Just select the amount and send, and the receiver claims the funds and the payment card is presented, loaded and ready to spend. We are also developing a dollar denominated cryptocurrency that we call MOdallion™. 4) Could you give us a walkthrough of the MOVO ecosystem; how it works and the technology behind it? At its core, MOVO empowers consumers to use mobile numbers, emails, social ID’s and other unique identifiers to send Real-Time Payment Cards™ that can be redeemed anywhere Visa® cards are accepted through its global network. This means that we take an existing technology that most think of on a vertical access between a consumer and a merchant and we lay it horizontal and have turned it into a person to person payment system. For example, Square introduced a toggle which allowed a micro merchant to accept Visa payments. In essence, we have removed the toggle, allowed the transaction to happen in the cloud and opened it up to individual consumers for all practical purposes can receive Real-Time Payment Cards for peer to peer payments. 6) Do you have any investment opportunities at MOVO to share with us? 8) At what stage of development is the MOVO project and what is next on your roadmap? MovoCash®, MovoCoin® and MovoChain™ 1.0 are launched and in the market. We have over 250,000 registered users with an ARR of 1,000,000 growing 20-30 percent per month. We are in proof of concept with our 3.0 HYPERBIN® technology which introduces a first-of-its-kind blockchain payments processor for Real-Time Payment Cards. 10) How Safe is MOVO, would you like to discuss your compliance and security measures? From a consumer perspective, all of the funds held with MOVO are FDIC insured (Metropolitan Commercial Bank, member FDIC). We use issuing bank quality technology (PCI/DSS, 256 bit encryption) and comply with all applicable rules and regulations including the Patriot Act, AML, BSA, OFAC, et al.